1x Adafruit Feather 32u4 Bluefruit LE (fully assembled with stacking headers) - Our take on an 'all-in-one' Arduino-compatible + Bluetooth Low Energy with built in USB and battery charging. Its an Adafruit Feather 32u4 with a BTLE module, ready to rock! 1x USB Cable - A/MicroB - use this to install new code onto your Feather (from any computer) - and to recharge the Feather's battery for portable projects! 1x Lithium Ion Polymer Battery - 3.7v 500mAh (domestic subscriptions only!) - this rechargeable battery can be used to make your Feather project portable. Plug it into the Feather to have it automatically charge over USB. When removed from USB power, the Feather will automatically flip over to battery power. 1x Three layer Robot Chassis Kit in Black - This kit gives you everything you need to build the shell of a 2-wheel-drive Mobile Platform Robot to help you channel your inner Mad Max. 1x DC Motor and Stepper FeatherWing Add-on (fully assembled) - Lets you use 2 x bi-polar stepper motors or 4 x brushed DC motors (or 1 stepper and 2 DC motors) - or enough motors to power the chassis kit! 1x Half-size Breadboard - Perfect fit for your chassis kit! 1x 4xAA Battery Holder w/ On/Off Switch - A nice portable battery holder for your batteries. 1x Piezo Buzzer - Add beeps and boops to your mini robot! 1x Coupon for a 4-pack of batteries from Radioshack - Our good friends at Radioshack added this coupon - good for a free 4-pack of AA batteries at any Radioshack store. Great for when you've used your car so much it's out of juice! 1x Enamel Pin - We are oddly obsessed with enamel pins. Before we dig into the more complicated code, let's take a minute to break down the simple motor controller code, and how it works to control your robot's motors. Before going any further, make sure you have a basic understanding of how to program and use an Arduino. Thankfully, we have a lot of great tutorials on how this whole thing works. Click here to get started with Arduino, and then come back to this guide to continue. For your robot to work correctly, you will need to install a couple libraries. To install the libraries, we will use Arduino's handy library manager. Navigate to the library manager like shown in the screenshot below. Under the Adafruit Motor Shield V2 Library, select the latest version from the dropdown, then click the install button. While we won't need it quite yet, you might as well go ahead and search for 'Adafruit BluefruitLE nRF51', and install the latest version of that. We will use this library later on. When you see two forward slashes // in front of text, that is called commenting. 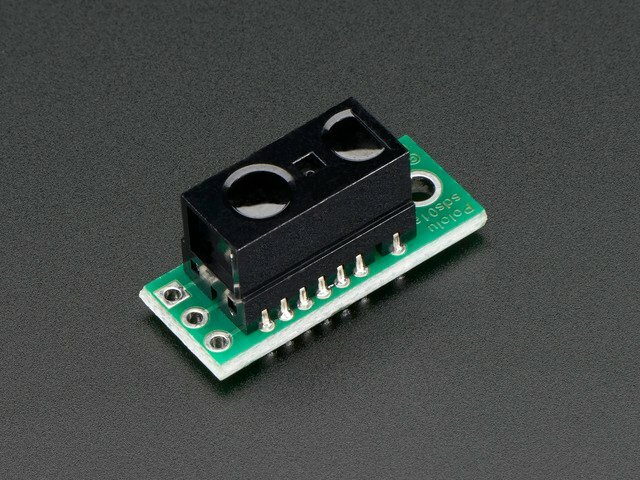 Anything written after the // will be ignored by the Arduino. It is a way to communicate with whomever is reading your code. Place your robot on top of a cup or mug so the wheels are not touching the ground. Select 'Adafruit Feather 32u4' as the board under the Arduino Tools menu, and upload this code to your Feather through the USB connector. With the motor port changed to 4, the other motor should now run. That is really the basics of how we will go about controlling the robot. In this case, we have myMotor set to M4, which is our right side motor, and myOtherMotor is set to M3, our left side motor. Of course, now that we have changed the variable name, we need to replace any instance of myMotor with leftMotor, and myOtherMotor with rightMotor. leftMotor->run(FORWARD); //LEFT MOTOR FULL STEAM AHEAD! rightMotor->run(FORWARD); //RIGHT MOTOR FULL STEAM AHEAD! All right, let's put this into a full sketch and give it a shot. For this sketch, Go ahead and upload this sketch to your robot. I have slowed down the speed for safety, but you can update to whatever you want. Even though it is slowed down, don't forget to set your robot on a mug or a cup to keep the wheels off the ground. rightMotor->run(RELEASE); //RIGHT MOTOR FULL STOP! Now it is time to take control of your robot. 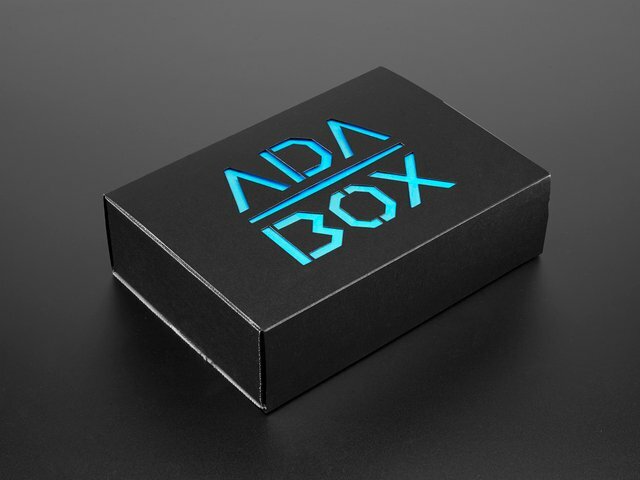 We will be using the Adafruit Bluefruit LE Connect app. Go ahead and download it on your preferred device. Load up the Bluefruit LE Connect app, and the first thing you will see is a list of available Bluetooth devices to connect to. 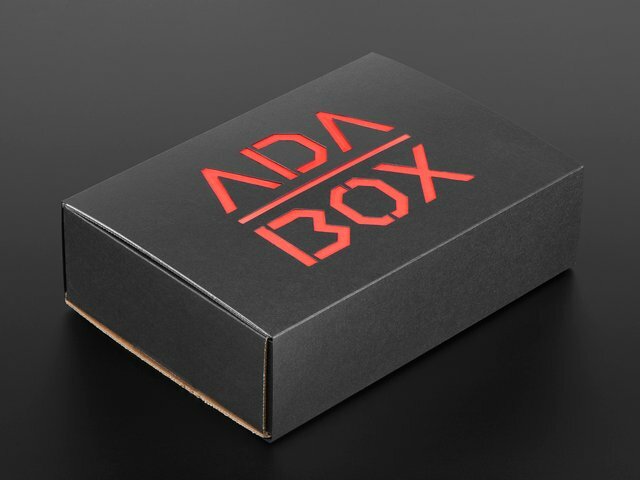 Find the one that says Adafruit Black Robot Rover, and tap the Connect button. Once you connect, you will see a whole bunch of device information. At the bottom of the app, tap the Controller button. On the next screen, you will see some advanced features of the app. For now, click the Control Pad link. The Control Pad should load up, and if you turn your phone sideways, it will expand to fill the screen. Go ahead and use the arrows to drive your rover. Be careful, this little guy is fast! Be sure to place it on the floor first! 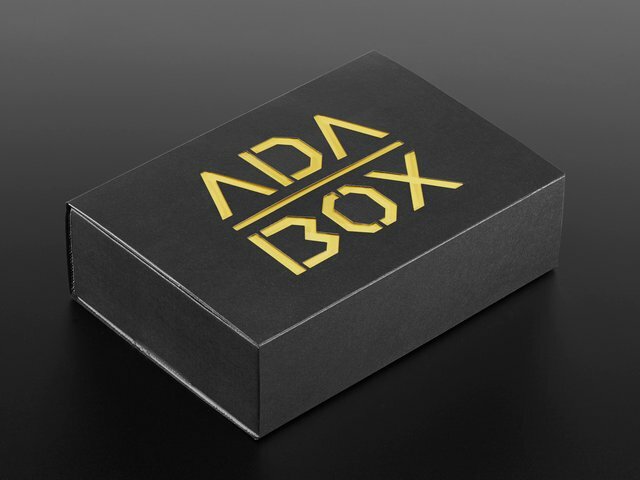 Packed in your AdaBox 002 is a little piezo buzzer. This will allow you to make your robot beep and boop. 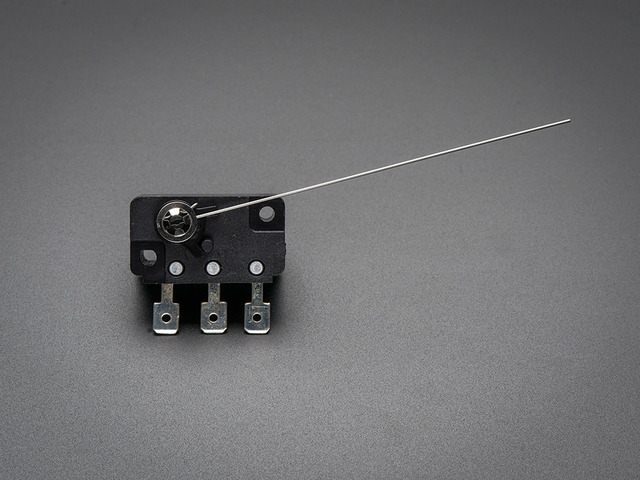 Want to learn more about piezo buzzers and how they work? Click here. The spacing of the piezo pins is perfect to put one side in the GND and the other in A1 as shown below. It doesn't matter which side of the buzzer goes into which spot. For the fun of it, lets take the code from the previous step and make it play the Super Mario Bros. theme whenever you press button 1 on the controller. First, lets take a look at the code for the music. We are going to use a variation of Becky's code from the wearable piezo project (Becky's code is a varition of Tiaga Galo's code - yay open source). //Change the broadcast device name here! Instead of hard coding a specific speed for your robot, here we will use a couple different ways to adjust your robot speed without having to constantly upload new code. 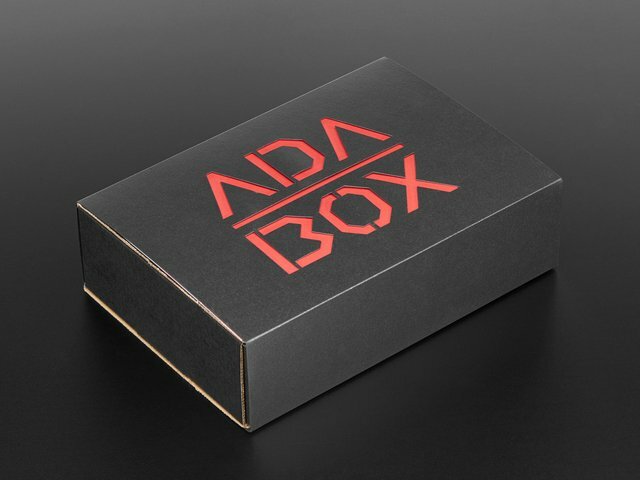 AdaBox 001 Bonus! 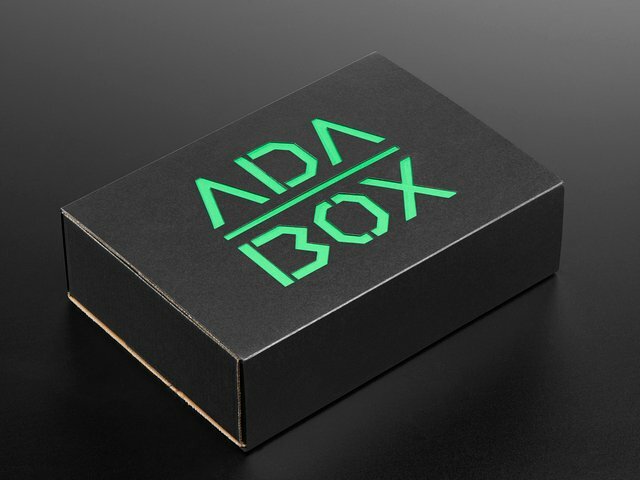 Use the potentiometer from AdaBox 001 for this modification. Potentiometers, or Pots for short, are variable resistors that allow us to send different voltages to the Feather analog pin. Wiring it up is super simple. 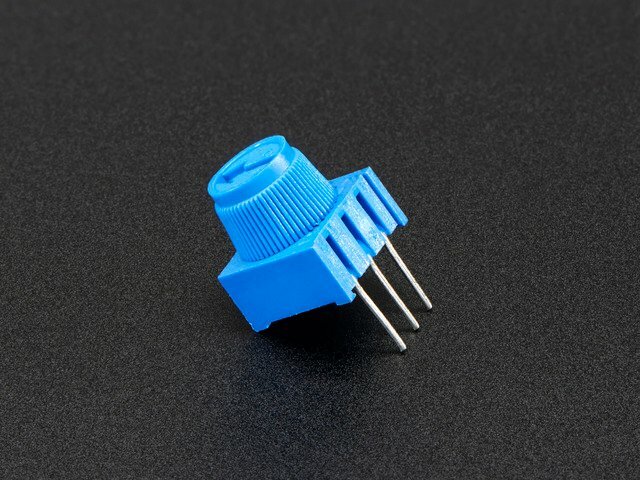 Just connect one of the outside pins to a 3.3V pin, and the other outside pin to ground. Then, connect the middle pin to the A0 pin on the Feather. For a reminder on which pin is which on the Bluefruit Feather, click here. The code to get this all working is incredibly simple. Just copy and paste in the code below to the top of your main loop. What we are doing here is reading that analog pin, and the Feather is going to pull a number from 0 to 1023, depending on which direction the arrow is facing on your pot. Because the motor controller needs a value from 0 to 255, we are using the map() function. Go ahead and upload this code to your robot, and turn the pot, then press forward on the controller to see how it works. Keep changing to direction of the arrow on the pot to adjust the speed. Then, all we need to do is increment the speed up every time we press the 1 button, and down every time we press the 3 button. This guide was first published on Dec 13, 2016. It was last updated on Dec 13, 2016.